This week Luxe Models introduces you to the latest wacky celeb craze; otherwise known as the Ice Bucket Challenge. We’ve got to admit, we love a good celeb craze here at Luxe Models. Usually it involves them doing or wearing something monumentally stupid, and it’s always good for a right ‘ole chuckle. Even if some of the celeb fashion crazes have left us reaching for the phone to get a hold of the fashion police. And now it appears that there’s a new celeb craze in town; the Ice Bucket challenge. As we’re about to show you, yes it really is as insane as it sounds, but it’s all the name of a good cause. Like celebs would do it for any other reason! The ice bucket challenge is quite simple. 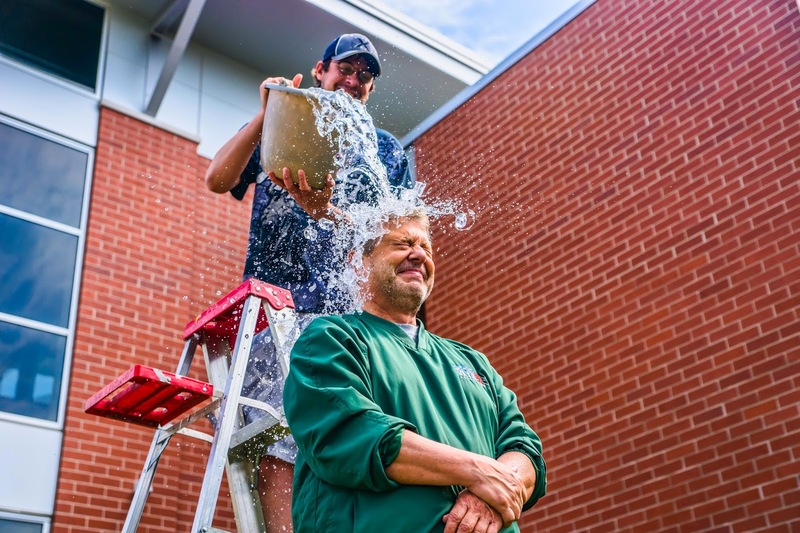 Basically, you are nominated by someone on social media to have a bucket of ice cold water poured over your head. Then, you nominate three other people to do the same thing in the next 24 hours! It’s almost like a philanthropic version of NekNominate; without having to swallow a live goldfish or ride drunk on a horse through your local Tesco’s, and it’s all for a good cause. The challenge was designed to raise awareness of a condition called amyotrophic lateral sclerosis, otherwise known as ALS or motor neurone disease. Which Celebs are doing the Ice Bucket Challenge? So far, a whole host of celebs have jumped on the bandwagon, including Lady Gaga, Hugh Jackman, David Beckham and Tom Cruise. Simon Cowell looked hilarious doing it, and then went on to nominate fellow X Factor judges Cheryl Fernandez-Versini, Louis Walsh and Mel B to give it a go! But the most outlandish example has to be Charlie Sheen. Just because Sheen always has to be a maverick, he decided to pour ice on himself instead, and then donate $10,000 to the cause. OK, he did technically cheat, but we think we’ll forgive him… this time. This is the latest celebrity craze, that like the rest, you probably shouldn’t try at home. Luxe Models is just thankful that this time, it doesn’t include any questionable items of clothing that we wouldn’t want to be caught dead in! For more from Luxe Models, be sure to stay in touch with us on Facebook.